We’ve all got traits that drive our other halves nuts. Some people leave the toilet seat up. Others are terrible washer-uppers. Some fail to ever take the bins out. Others fart in their sleep. Some snore. But the thing I do that drives Cowie nuts is to regard a run in the countryside as an opportunity to go mushroom foraging. 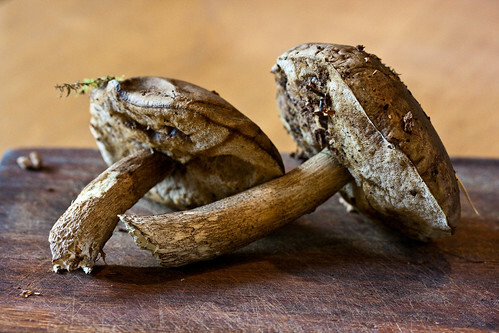 I’d like to think that I’ve invented a new sport called “Fungathlon” – where you have to complete a half marathon and also forage for mushrooms en-route. So when we were in the final stages of preparation for our Olympic Triathlon at Hever Castle and Cowie planned a 14 mile run for us around the gloriously undulating Longleat Estate, I saw it as a chance for some energetic foraging. Cowie always sends me a map of our intended route to get my approval in the days before we go for a long run. I normally look at the hills and wince and then agree. But what she hasn’t realised until now is that I always check to see if we run through any woods. And if we don’t, I tend to suggest an alternative route that is more likely to yield mushrooms. Within 50 metres of setting off we’d stumbled across a bank of chanterelles nestling in the undergrowth. Cowie ran on as I picked and inspected them. I wasn’t sure whether I should collect them and take them with me or whether I should just put down a marker so I could find them later. Common sense got the better of me and I spent the next mile catching up with Cowie who had forged on ahead. 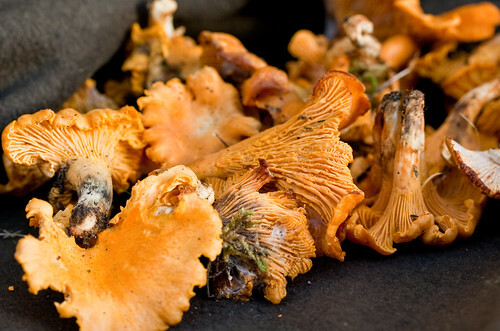 As we ran, I dreaded someone else finding my stash of golden chanterelles. I was wracked with fear that a mushroom thief might strike. It spurred me on to run faster. Then after 10 miles, I spotted what looked like a cep winking at me from under some birch trees. Without thinking twice I vaulted a barbed wire fence and went foraging. Again, Cowie zoomed off, muttering something about “bloody mushrooms”. As she ran off into the distance, I inspected what I thought was a cep. But I soon realised that it wasn’t quite the noble Karl Johan Svamp, but I had a strong suspicion it was an edible bolete of some sort. I quickly searched the surrounding area and found 4 or 5 more specimens, which I collected up and hid under a tree next to a discarded can of Coke with the hope that I’d be able to return later to pick them up. I jumped back over the fence and sprinted down the hill to catch up with Cowie who was by now almost out of sight. It stuck me that this is actually an advanced form of interval training and in fact is the kind of thing they should recommend in Triathlon World magazine. For the last 4 miles my head spun as I thought about what to cook with our haul of shrooms. I concocted mushroom and cider pates, mushroom ragus with polenta and mushroom soups in my mind as we closed in on the Bath Arms. I barely even noticed when we finished and was simply excited about picking up our mushrooms before any fungal bandit struck. We drove home via the mushroom drop zones and collected our haul which sat on my lap in the car with a reassuring covering of moss, twigs and excitable woodlouse. We got home and, whilst Cowie showered, I checked the internet and my mushroom books to identify our collection and to check they were edible. It turned out that I was right about the chanterelles and that the boletes were in fact Birch Boletes which whilst not the very best, are regarded as being a tasty, if a little slimy. 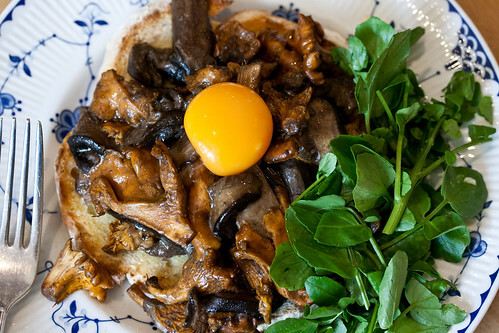 By the time Cowie had returned from her shower I had cooked up my favourite mushroom brunch of the year. 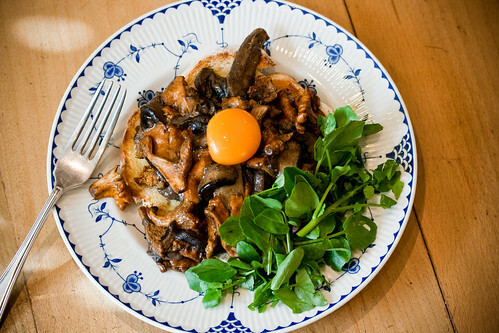 I simply sautéed the mushrooms and served them on sourdough toast from At the Chapel, in Bruton, and topped them with an egg yolk from Cowie’s hens which cooked in the residual heat of the mushrooms. And accompanied this with some invigorating watercress from John Hurd’s watercress farm which is just up the road. It couldn’t have been more local. And it couldn’t have tasted any better. It was the most perfect brunch you could ever imagine. And left me beaming with delight for the rest of the day. 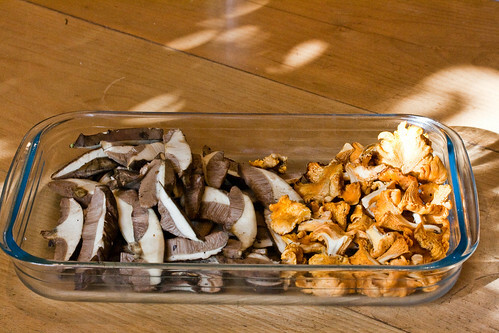 It’s not often that you can combine fitness training, mushroom foraging and feasting all in one morning. Now that's about as perfect as brunch gets in my book – looks sooo delicious. Now that's my kind of run!!! 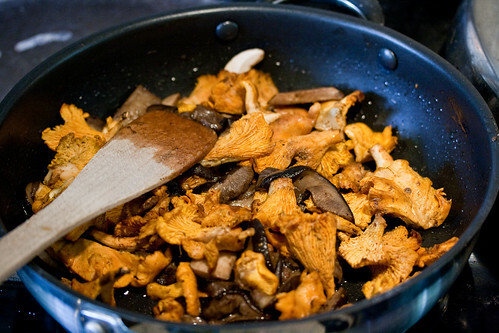 The last time I ate Chanterelles, I was in Finland on a small island. They were delicious. I'm a very slow runner, and being able to simultaneously hunt mushrooms has been the only upside. Let's start a campaign to get the Fungathlon into the Olympics. 'Fungathlon' - love it. You're very brave to forage shrooms though, I wouldn't have the nerve. @Toffeeapple - Sounds like a memorable experience. One of my favourite mushrooms. Mainly because I can identify them! @Helen - It's less bravery - and more stupidity. Good fun though. I like this recipe a lot, it is one of my favourites now after i`ve tried it this morning and it was very good, thanks for sharing and also thanks for your good explanations. 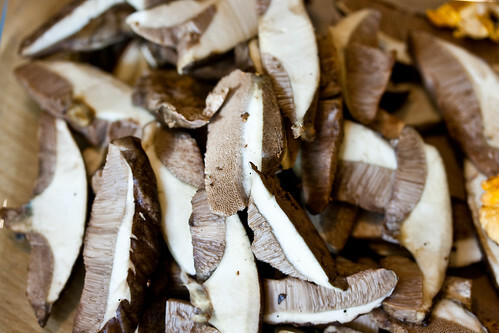 Great post, I love wild mushrooms. Hedgehog fried in olive oil butter garlic parsley on toasted sourdough. When I am in Bavaria, I have yet to get bread as good in the UK. Sourdough baker (#BreadBore #BalhamBaking), Cult Vinegar maker, Cult Ceramics founder, entrepreneur, advertising bloke, kitchen gardener (#BalhamFarming), lateral cooker, lover of Scandinavian food, pop up restaurant chef, keen traveler around Britain and Sweden, mushroom obsessive and slow cooking fanatic.